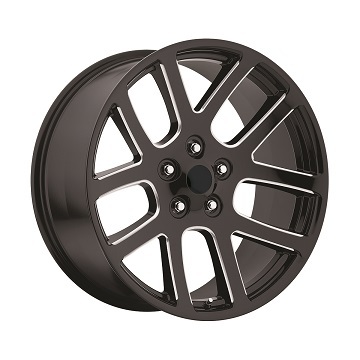 Factory Repro RAM SRT10 Style 20x9 Wheel 94-18 Dodge Ram 1500 Factory Repro Ram SRT-10 Style 20"x9" Wheel 94-18 Dodge Ram 1500, Factory Repro Style 60-20 Wheel, Dodge Ram SRT10 Style Wheel, Ram SRT-10 Wheel, Dodge Ram Custom Wheel, Dodge Ram SRT10 Black Wheel, Dodge Ram SRT10 Competition Grey Wheel, Dodge [Factory Repro Style 60-20 Wheel] - $199.95 : 3rd Strike Performance, Your Source for Late Model MOPAR Performance Parts and Accessories! Factory Reproductions are the leader in replica wheels. Browse our wheels to find the perfect fit for your vehicle. We offer a variety of sizes, finishes and offsets for the Dodge Ram SRT10. Each uses a 5X5.5 bolt pattern. Please choose from the options below.